"Manipulations and aesthetic delight with Kris Verdonck"
In I/II/III/IIII, choreographer and visual artist Kris Verdonck transforms the stage into a life-size dollhouse. 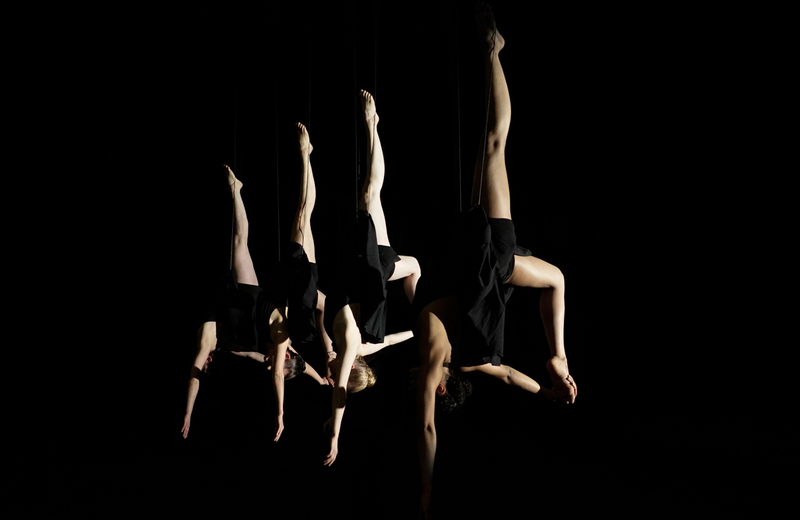 Four female ICK-dancers - not unlike marionettes - are floating in mid-air, suspended from a huge machine. 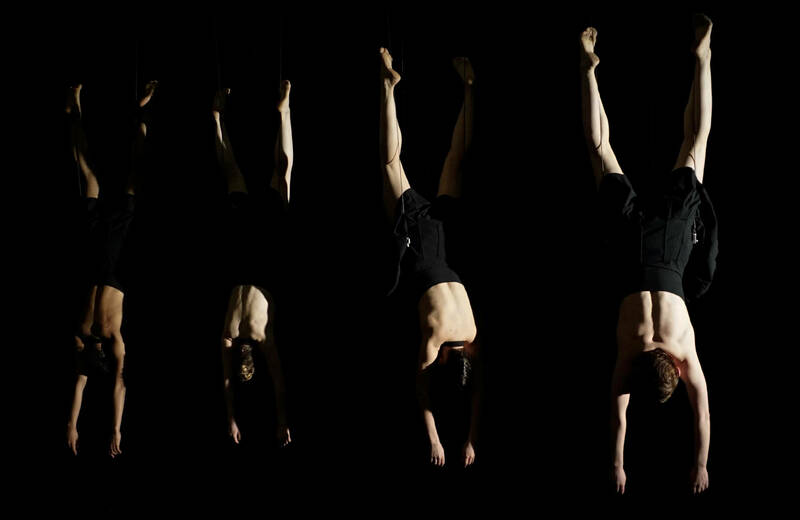 A solo, a duet, a trio and a quartet follow one another in this choreography of identical movements. A game of surrendering to the machine and at the same time, searching for control. 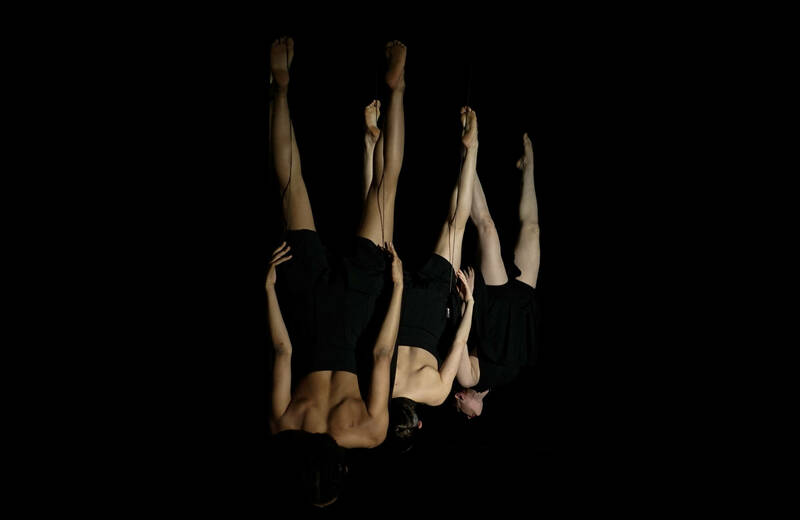 The images evoked by I/II/III/IIII are confusing and ambiguous: the dancers almost look like graceful, fragile swans ... but they also remind us of animal carcasses being dragged along, floating angels, falling human bodies and everything in between. Trailer I/II/III/IIII - ICK | Chris Verdonck from ICK on Vimeo. I/II/III/IIII (Teaser) - ICK | Kris Verdonck from ICK on Vimeo. I/II/III/IIII Interview with Kris Verdonck & Kim Amankwaa from ICK on Vimeo. "Verdonck stylizes and slows this performance down in complete detail"
"A machine as a handy helper and as a hell of an instrument"
"Fascinating visual art with moving bodies"